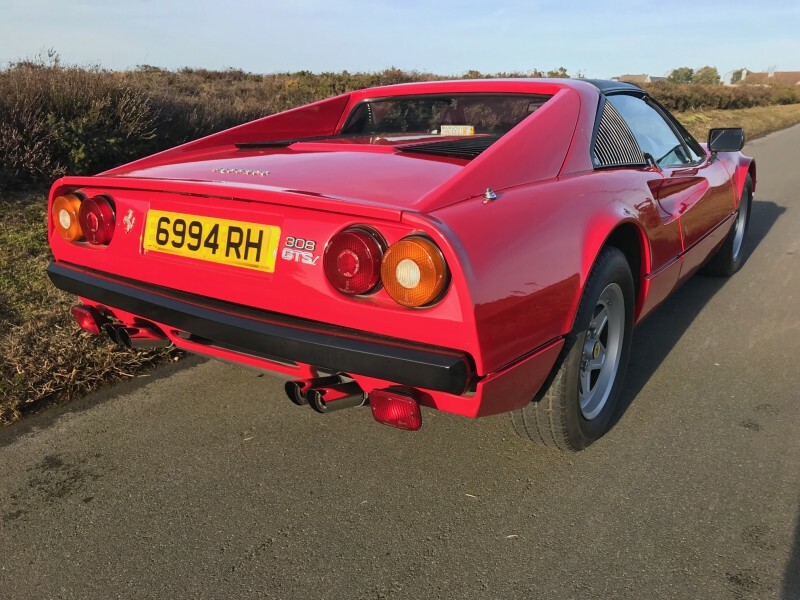 The 308 replaced the 246 Dino in 1975 as Ferrari’s mid-engined sports car. 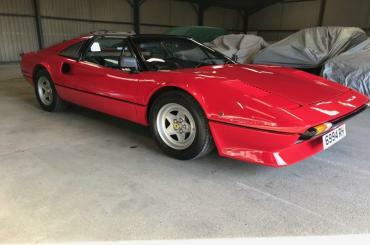 It was in production until 1985 when superseded by the 328 which was the last car of this iconic shape. 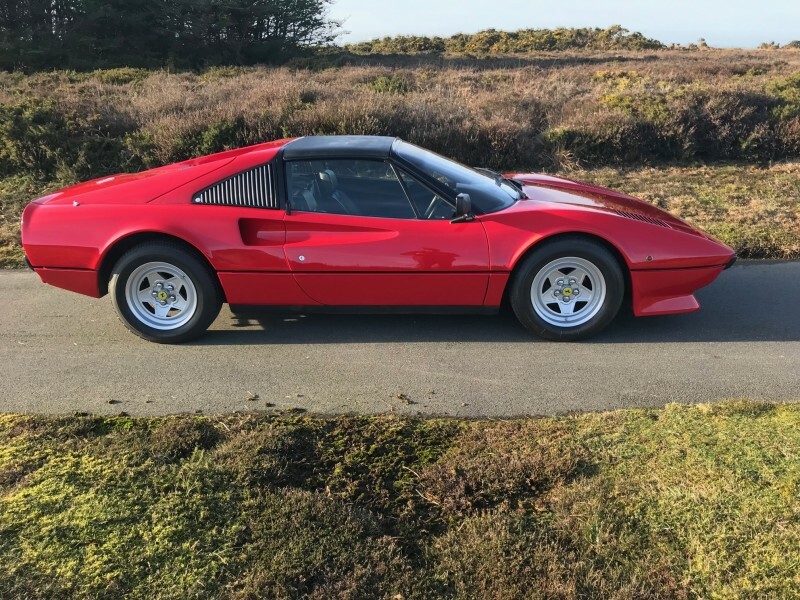 Designed by Leonardo Fioravanti of Pininfarina (who was also responsible for the Ferrari Daytona) it was introduced at the Paris Motor Show in 1975 and still today it is recognised as one of Ferrari’s most celebrated shapes. 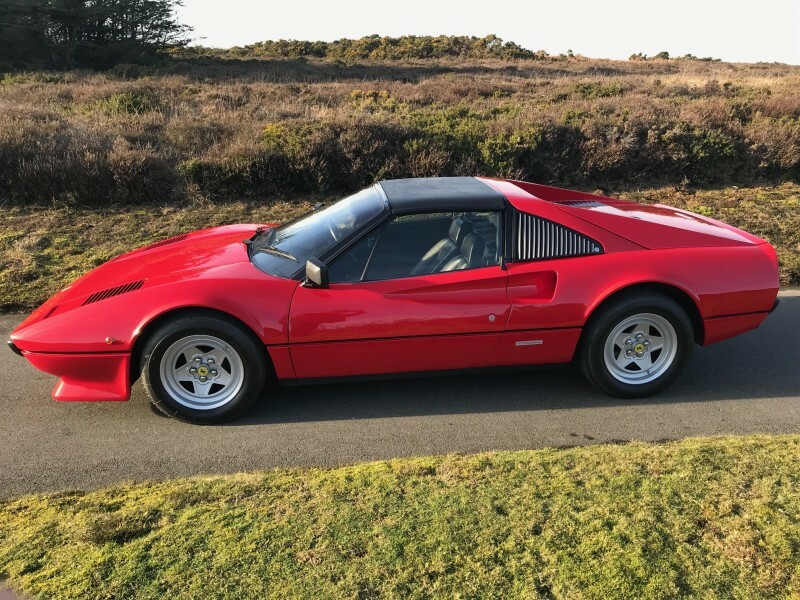 Fitted with Bosch K-Jetronic mechanical fuel injection the 308 GTSi, produced 235 hp slightly less than the earlier carburettor cars. Decreasing emissions was a necessary requirement as regulations changed worldwide, especially the largest market, the USA. 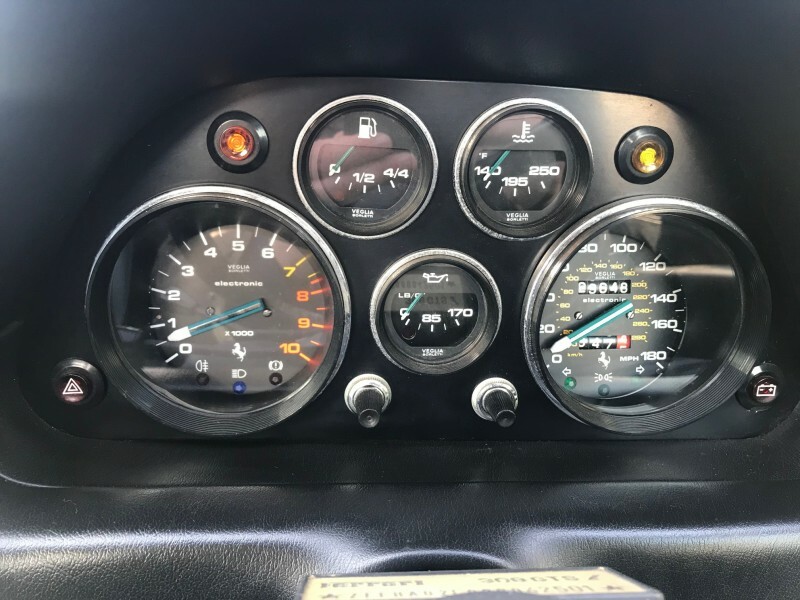 The 2.9Ltr V8 engine was coupled with a 5 speed all synchromesh gearbox propelling the car to in excess of 155 MPH with 0-60 times of 7.8 seconds. 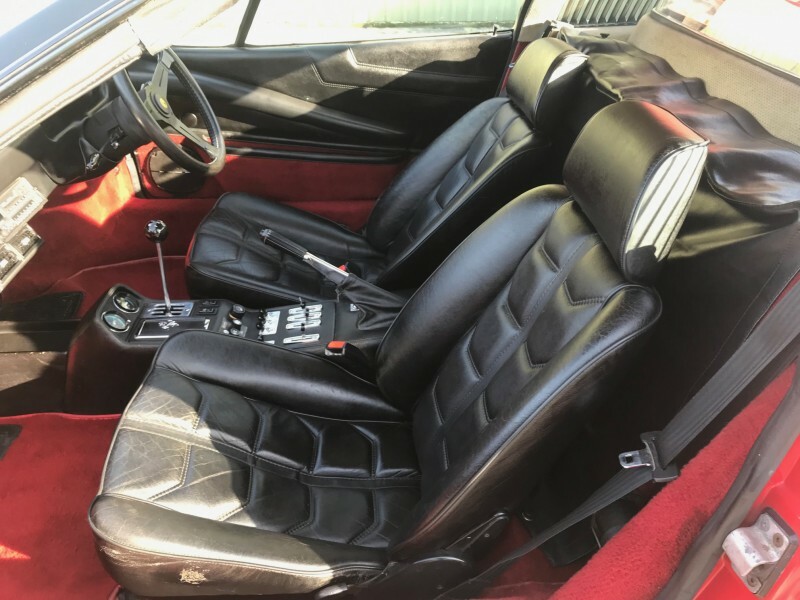 The Spider version car notable with its removable hard top, was made famous, not just by its track prowess but by the US TV detective series Magnum P.I. as driven by Tom Selleck, who had a number of the evolving models including the GTSi in the TV programme. Delivered new by Modena in April 1982, this RHD Spyder has a fully supported and documented history, from new to the present, it is accompanied by a very comprehensive history file containing the original service books, owners wallet with handbook and other items, together with MOT’s from the mid 1980’s onwards, which confirm the total mileage covered from new. 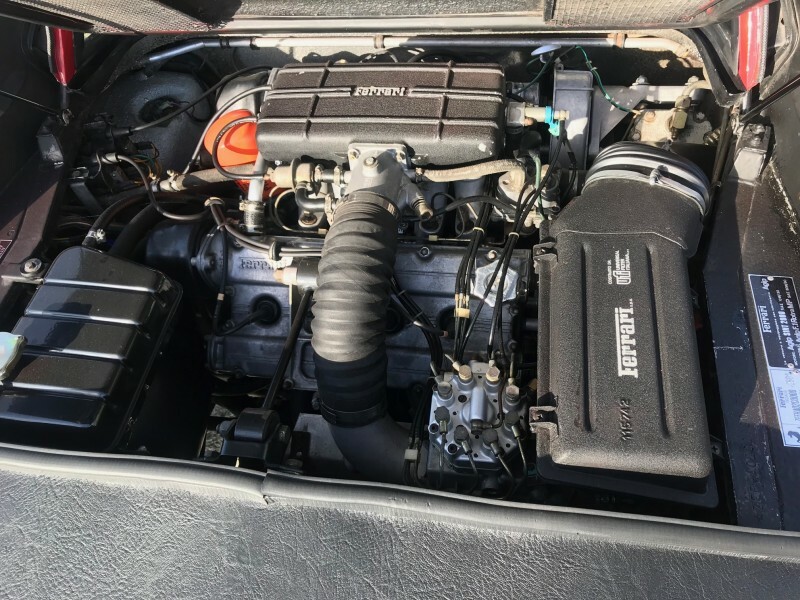 With only two previous owners prior to 1989, the car was under same long term ownership from 1989 until the end of 2015, with all service maintenance and replacement invoices being found in the accompanying history file. 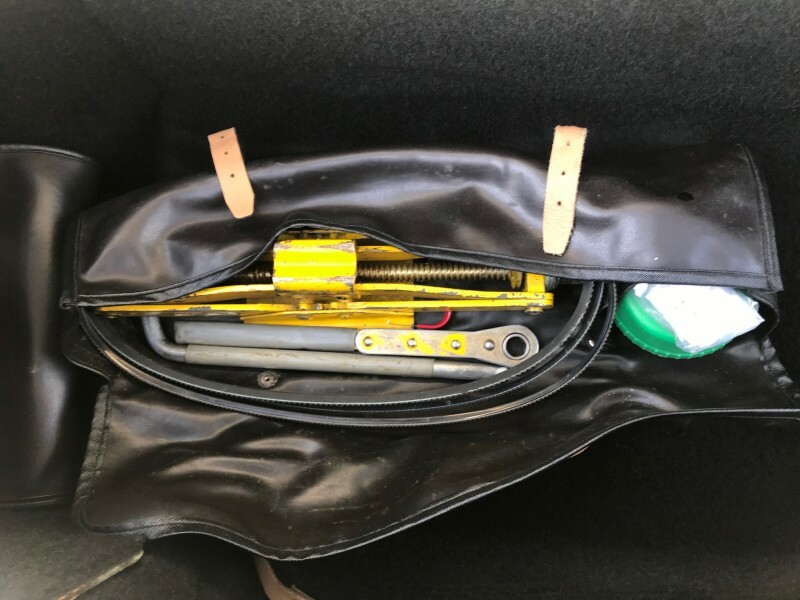 The Ferrari comes with the complete and original Ferrari toolkit, 2 x Ferrari keys, Owners manual, and in the original specification with central locking, air conditioning, original radio and is fitted with Ferrari specified tyres. It is an extremely good example of the more desirable RHD model, with low ownership and warranted mileage of 68980 miles. 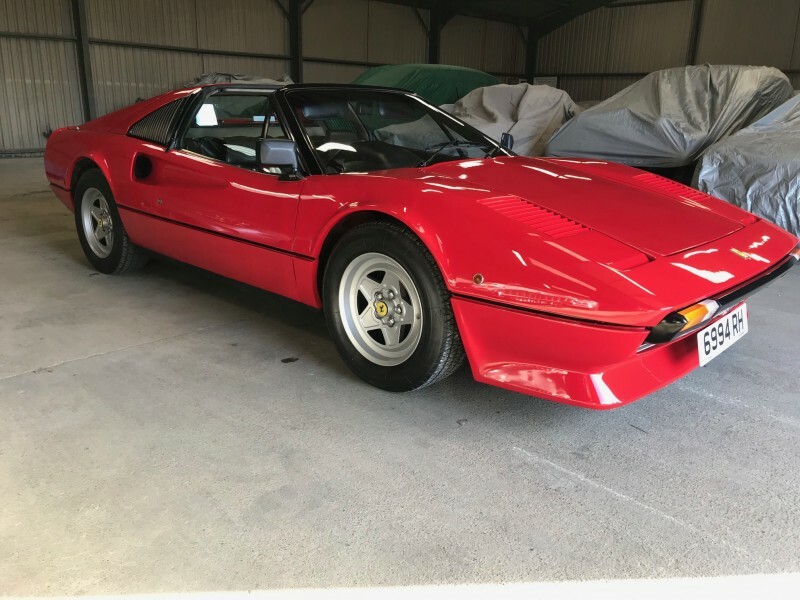 In good original condition, the Ferrari presents extremely well in Rosso Red, the alloy wheels are in very good condition as is the removable roof panel. 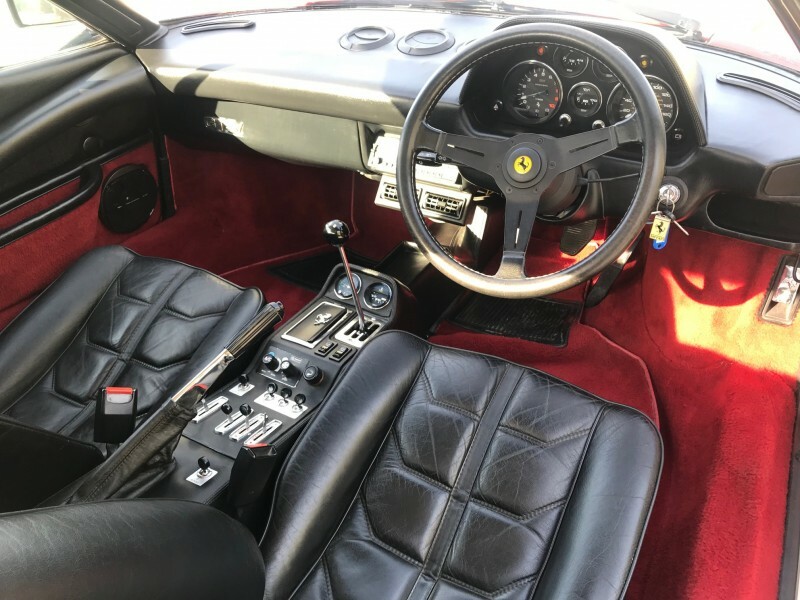 The black leather interior complimented by red carpets, is extremely good condition with no tears or rips to the leather.